Honored to meet today w/ our Commander-in-Chief! President @realdonaldtrump is the tough, courageous & patriotic leader we need. 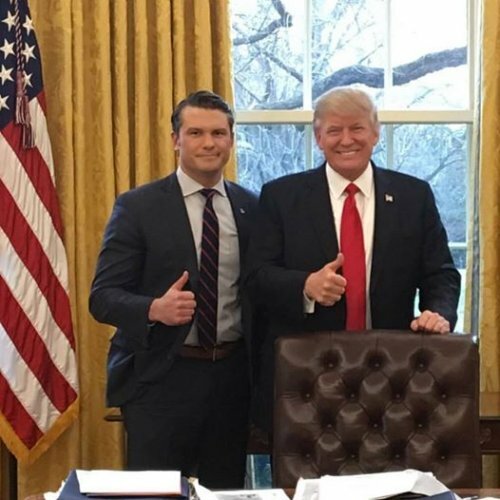 Pete Hegseth was an infantry Captain in the Army National Guard, and has served in Afghanistan, Iraq, and Guantanamo Bay. He holds two Bronze Stars and a Combat Infantryman Badge for his time in Iraq and Afghanistan.